16 Youthful Skin Remedies That Work Like a Charm! 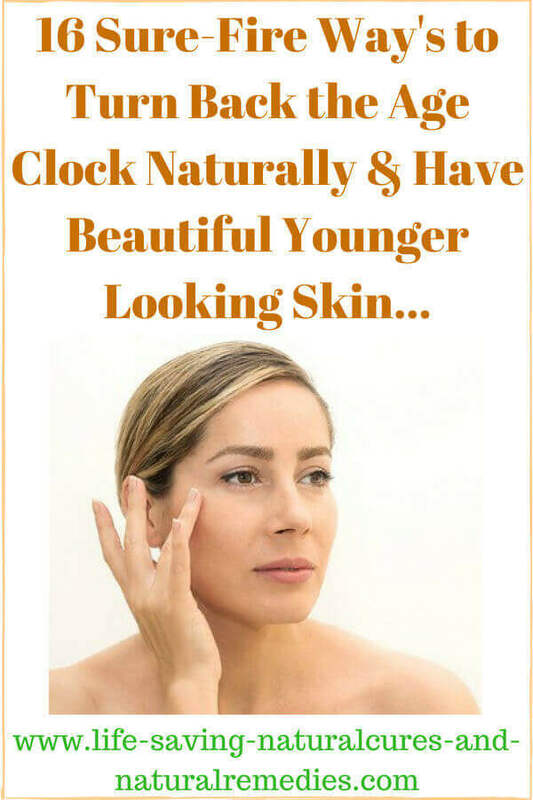 Want to turn back the age clock naturally and have beautiful glowing skin that people admire? Here's 16 anti-aging remedies that will definitely give you a more youthful appearance without the need for expensive cosmetic surgery or regular Botox injections! If you’re currently spending lots of money on the latest skin care or firming product then you are being ripped off big time! Sorry to be the one to tell you this, but then again, who hasn’t at one point or another? I think every woman probably has (not trying to sound sexist here but women are the main culprits). If you can’t eat or drink the cream or formula then don’t put it on your skin! So what this simply means is only natural ingredients should be used... no chemicals allowed. The fact is, no matter how bold the claims, if the skin care product contains chemicals then it’s not good for you - so don’t use it. Remember this; whatever chemicals you put on your skin will be absorbed through the pours of the skin and end up in your bloodstream. So it’s not much good having skin that maybe looks better if you’re filling your body with harmful toxins! “What you put on your skin to keep it looking more youthful is not near as important as what you put into your body to keep it looking more youthful”. The truth is, if you focus more on making the inside of your body healthy then the outside will automatically look healthier and younger - it’s a natural occurrence. When someone has skin that exerts a “rosy glow” you can be sure it’s their inner health, not so much as their outer health that’s causing it. 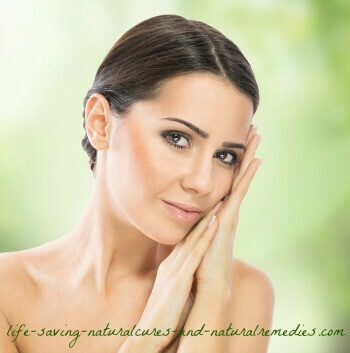 Healthy blood and healthy circulation will result in healthy skin. But poor blood flow, such as when a person is anemic, will result in very pale and sick looking skin. And we're not saying that you don’t need to pay any attention to what you put on your skin, you certainly do. What we're saying is your internal health is the most important factor for turning back the age clock, not some miracle cream, laser surgery or face lift! Green tea, and in particular Matcha green tea, is a fantastic food and supplement for giving you younger looking skin as it contains some the most powerful antioxidants of any plant in the world. Antioxidants are extremely important for healthy skin because they prevent nasty free radicals (pro-oxidants) from getting in there and wreaking havoc on the body's cells, especially the skin cells. And these guys not only help to limit the damage that’s caused to this vital organ (yes the skin is actually an organ), they also help to repair and even reverse any damage that's already been done. Antioxidants are particularly effective for preventing and reversing skin wrinkles, age spots and liver spots on the skin caused by elastic fibre breakdown and rancid fatty deposits. Think about the Japanese and Koreans (the biggest consumers of green tea)? These people have wonderful looking skin and always look much younger that what they really are. So by drinking plenty of Matcha green tea every day and using it on your skin you’ll be able to literally watch those wrinkles and age spots disappear before your eyes! For internal benefit, simply drink 3-4 cups or more of Matcha green tea daily (the more you drink the better!) For external benefit, you can use it as a toner or as a facial mist by combining half a cup of green tea water with 2 tablespoons of lemon juice (lemon juice is also great for the skin). Soak with a cotton ball and gently wipe the skin thoroughly. Repeat twice daily. Or to use as a facial mist, pour the solution into a spray bottle and whenever your skin feels dry, itchy, or even oily, apply a few sprays and allow to soak in. Coconut oil is a very potent “beauty treatment in a bottle” (or in this case a jar). Not only does it help hydrate the skin and make it look more youthful, it also keeps your internal organs healthy as well. And of course, a healthy inside means a healthy outside so be sure to use organic virgin coconut oil on your skin every day along with taking it internally. 2-3 tablespoons daily is the usual amount for internal health. This can easily be done by mixing the coconut oil in a smoothie, or even eating it straight off the spoon! For skin rejuvenation, use and apply the same as you would any skin lotion. The best way to use apple cider vinegar is as a daily facial cleanser and toner, along with drinking it internally. For internal benefit, mix a tablespoon of organic ACV and a teaspoon of Manuka honey (see next remedy) in a glass of warm, filtered water and consume twice daily on an empty stomach (first thing in the morning is particularly important). And make sure you only ever buy the raw, unfiltered ACV that still contains the “mother” apple. Processed apple cider vinegars do not work. For external use, dilute some apple cider vinegar with distilled water (roughly 50/50 ratio or even 1 part ACV to 3 parts water) and apply this to your skin morning and night. Only leave on for 10-15 minutes before washing off. You’ll be very impressed by the results! Note: If you find it a struggle to drink the liquid ACV (some people actually heave on the stuff), you can take the apple cider vinegar tablets instead. These work just as well. 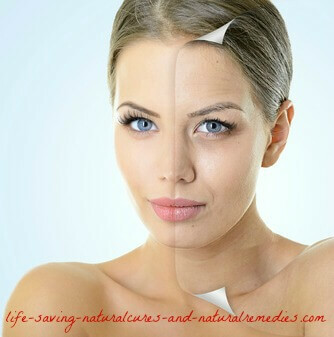 Yet another powerful (and all natural) skin rejuvenator and “facelift in a jar”. Manuka honey is anti-bacterial and anti-fungal in nature so it’s perfect for cleansing and toning the skin. Use it as a facial mask to cleanse, repair and moisturize your skin as well as adding it to your ACV drink. It works a treat! Yes, cayenne pepper is hot, but it’s also an excellent blood vessel dilator. By opening up the body’s arteries and blood vessels (including facial blood vessels), blood flow is improved dramatically. And improved blood flow means improved skin pigmentation and a more youthful appearance. Cayenne pepper is also a potent anti-inflammatory, so it helps with skin irritations and problems such as rosacea, psoriasis and eczema. In addition to this, cayenne pepper is very good for the heart and lowering blood pressure and cholesterol levels - so try and use this spice in your cooking as much as you possibly can! Baking soda is definitely one of the simplest and cheapest natural beauty treatments you’ll come across. It makes the perfect face wash, exfoliator and black head remover. Baking soda is also terrific for drawing toxins out of the skin so be sure to use it as a detox mask as well. For a face wash, mix 2 teaspoons of baking soda and 1 teaspoon of warm water together to form a paste. Rinse your face with warm water first then rub the mixture in circular motions over your face for a nice gentle cleanse. Leave for 2-3 minutes then rinse off with warm water. Follow up with rosewater and glycerin (see below), and then a natural moisturizer such as coconut oil to finish off. Do this once a day for best results. As an exfoliator and black head remover, simply do the same you would as a face wash except add a little less water and massage into the skin using your fingertips (and using a firmer motion). You only need to do this 3 times per week though. For a detox mask, once again, mix 2 teaspoons of baking soda with 1 teaspoon of water. Apply the paste to your face nice and thick then leave on for about 20 minutes (so it’s completely dry). Rinse off with warm water or rinse in the shower. Apply a natural moisturizer afterward. Rosewater has strong astringent properties, so it naturally helps to firm and tighten the skin. 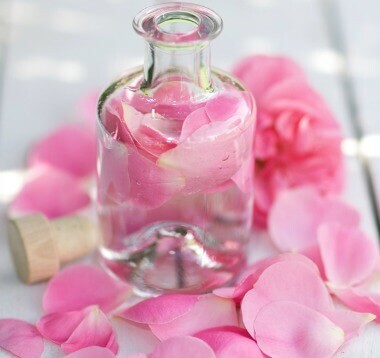 Rosewater is also very good for reducing puffiness under the eyes. Glycerin, on the other hand is a potent humectant, which means it helps to keep moisture in the skin to give it a nice, glossy, smooth appearance. To use rosewater and glycerin first wipe your skin with a cotton ball soaked in 100% pure Moroccan rose water (the best type). Then mix together equal parts of glycerine and rose water and use this to gently massage the face and neck. Do this every morning after cleansing your face. Essential fatty acids help normalize skin lipids and prevent skin cell dehydration. This keeps the cells nice and healthy and full of moisture, which it turn reduces the appearance of fine lines. EPA and DHA fats found in both evening primrose oil and fish oil increase blood flow to the skin and act as strong anti-inflammatories (the inflammatory process leads to wrinkles and various skin conditions including psoriasis and eczema). 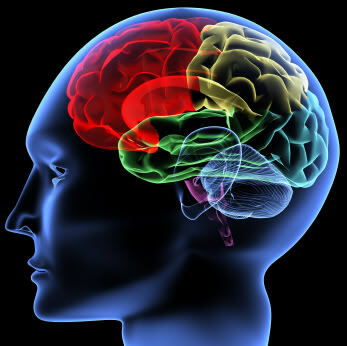 Good Eicosanoids, such as prostaglandins, also have a powerful anti-inflammatory effect and are contained in generous amounts in EPO and fish oil. This substance is currently the latest and hottest skin care ingredient, even though it’s actually nothing new. Hyaluronic acid is a naturally occurring polysaccharide, or carbohydrate, found in the human body. It's mainly found in the joints and in between skin cells where it provides moisture, firmness, plumpness and suppleness to the skin. Hyaluronic acid is a powerful humectant, which means it binds to large quantities of water and this is what keeps the skin hydrated. Have you ever wondered why a baby’s skin is so soft and smooth? Well, babies are born with high amounts of hyaluronic acid! Firstly, you must use it internally as well as externally. Using a hyaluronic acid cream by itself will certainly help, but taking it internally as well as externally will turbo charge your results like nothing else! Secondly, try and combine hyaluronic acid with vitamin C for extra absorption. Without vitamin C, hyaluronic acid can be quite poorly absorbed (internally and externally). Vitamin C is also vital for collagen production and healthy skin so you need to be taking this nutrient anyway (see next remedy). Because there are so many skin care products out there now containing hyaluronic acid (or claiming to) be sure to do your research first. Some only contain small amounts and are full of chemicals so make sure you check first. If you’re interested, here’s some of the best and most reputable internal and external hyaluronic acid supplements currently on the market according to Amazons research… Best Hyaluronic Acid Supplements and Serums. For directions and dosages, simply follow the recommendations listed on the container. Collagen is the substance that gives skin its resiliency and elasticity. As we age, the body’s production of collagen slows dramatically and this causes skin to become loose, dry and wrinkled. Vitamin C is one of the main components of collagen and supplementation of this vital nutrient increases the body’s production considerably, which in turn helps to slow down the aging process. Vitamin C is also a strong antioxidant and plays a crucial role in keeping the blood vessels healthy, which results in increased blood flow to the skin and reduced inflammation. You can never have too much vitamin C (Dr Linus Pauling took 10,000 MG’s per day) so supplement with this nutrient as much as you like. Just make sure the vitamin C supplement you purchase contains bioflavonoids and/or Rose Hips for full absorption. In addition to this, you can also use specific anti-aging and anti-wrinkle vitamin C serums, which also work very well. Vitamin E is another powerful antioxidant that protects the skin from free radical damage and pro-oxidants. This makes it a crucial nutrient in the fight against premature aging and problems such as age spots and liver spots. Vitamin E has also been used successfully in the treatment of skin inflammation, scarring, and various other skin diseases. Because vitamin E works so well externally, you will find it in most anti-aging creams and formulas on the market. For internal supplementation, take 1,000-2,000 IU per day. This vitamin is currently causing some confusion in regards to its anti-aging benefits. On the one hand people are being told that vitamin D is one of the best nutrients for skin and bone health, yet vitamin D comes from sun exposure and the sun supposedly causes premature aging and skin cancer. Well, let’s sort this one out once and for all. To begin with, the sun is not bad for you, it’s actually extremely good for you. Without the sun nothing on this planet would survive, including us. We need a certain amount of sunlight so the body can produce vitamin D. The problem is excess sun exposure. So it’s like anything in life, moderation is the key. 20-30 minutes a day of uninterrupted sun exposure to the face and top of the hands is healthy (except if you live in colder climates, then you may need longer). If you get to the point where the skin feels like it’s starting to burn then that’s when it becomes unhealthy. If you live in colder climates or you still aren’t convinced about spending time in the sun, then at the very least supplement with some vitamin D3 (the same as what your body makes). In fact, even if you do spend time in the sun it’s still a good idea to take extra just to be sure, especially during the winter months. According to vitamin D expert, Dr Cedric Garland, we need 4,000-8,000 IU of vitamin D per day so supplementation is important if you want to receive the required amount. 4 Your body (especially your skin) will definitely thank you for it! Beta carotene is another strong antioxidant nutrient that helps to reduce the signs of aging by slowing down skin oxidation. It also works well in treating acne and eye disorders such as cataracts and eye inflammation. Another significant benefit of beta carotene, according to The National Cancer Institute, is it reduces the risk of cancers by 40%! Elastic fibre breakdown is when the fibres of the skin begin to lose their elasticity and stretch. When this occurs the skin starts to sag, particularly below the eyes and around the neck, arms, breasts, stomach and legs. But even worse than this is the elastic fibres in your veins and arteries also begin to lose their elasticity and stretch, which in turn can cause a ballooning and eventual bursting of an artery (ruptured aneurysm). This is an extremely serious and life threatening situation. The trace mineral copper helps prevent elastic fibre breakdown, so not only does it have the potential to save your life, it will also tighten your skin naturally and help put things back where they belong! Colloidal copper is definitely the best and most highly absorbable form of copper to take. If you're looking to try it, here’s the #1 brand on the market… MesoCopper – 10ppm Colloidal Copper. Known as the “beauty mineral”, silica is another nutrient that forms a major part of collagen, the substance that joins skin cells together. It's needed for the proper elasticity of skin tissue and therefore helps prevent wrinkled and rough or sagging skin from forming. Silica is also vital for the health of hair and nails and assists in the healing of torn ligaments and tendons. 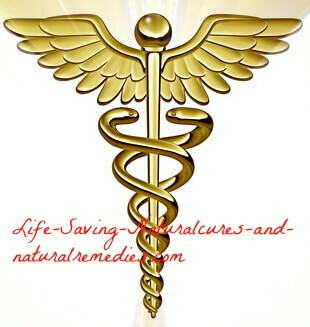 You can easily buy silica supplements from most health food stores or online. Without enough B group vitamins, skin will continually crack and peel. A lack of vitamin B5 (Pantothenic Acid), in particular, will result in skin wrinkles and crow’s feet around the eyes and a lack of vitamin B12 will cause paleness of the skin. Best sources for B vitamins are fruits and vegetables, however, you’ll need to eat a lot to get the required RDA so supplementation may be necessary. DO drink lots of water: Water is incredibly good for your skin – in fact for your whole body. It not only flushes out bodily wastes and toxins, it also helps to “plump up” and rehydrate your skin. You need to drink at least 10 glasses of purified, filtered water each and every day though to get the desired benefits. Also remember that lemon juice is incredibly rich in vitamin C and antioxidants, which are both crucial for skin health (the acidic properties in lemon juice also help lighten the skin) so make sure you add a couple of slices of fresh lemon to your water as well for extra benefit. DO moderate exercise: Exercise definitely helps to keep you looking younger, as long as you don’t overdo it! If you look at most “gym junkies” over the age of 30 (and definitely over the age of 40) you’ll notice that although they might have the perfect body, their skin, especially their facial skin, is very dry looking with lots of fine lines and wrinkles. Some even look 20 years older in their facial looks than what they do their bodily looks! The reason for this is exercise leaches nutrients from the body, particularly the skin. And the more you exercise and sweat the faster it happens. So if you exercise, make sure you keep it moderate and be sure to supplement, supplement, supplement! DON’T smoke and consume alcohol only occasionally: Smoking cigarettes and drinking alcohol both not only guarantee to shorten your life by at least 20 years, they’ll also add 20 years to your looks in the process! When you see a smoker or a drinker over the age of 40, the first thing you’ll notice is how dry and wrinkled their skin is. You’ll also notice their teeth beginning to turn yellow or even starting to rot. The reason? Tobacco and alcohol leach valuable nutrients from the body, especially the skin, at a rapid rate! DO use anti-aging treatments: Although there are a lot of high priced gimmick rejuvenating and anti-aging skin treatments going around, there are also some very good and genuine ones. Like I said, if you’re going to use any of these just make sure they’re all natural and contain as many of the foods and nutrients listed above as possible. So there are some of the tried and tested ways to looking younger naturally. The fantastic thing is when you look younger and your skin has a vibrant glow to it you actually feel younger, which in turn changes and positively impacts your whole life. You will also find that with the internal remedies your energy levels will be much higher, you won’t get sick as often and you’ll add lots of healthful years to your life in the process! Sources and references for this article include: stylecraze.com, thebeautymadness.com, mercola.com, earthclinic.com, youbeauty.com.